The Waynesboro Police Department in Virginia is requesting information on locating a wanted Waynesboro man who fled in nothing but his underpants and a single sock earlier this week when he was found with drugs. 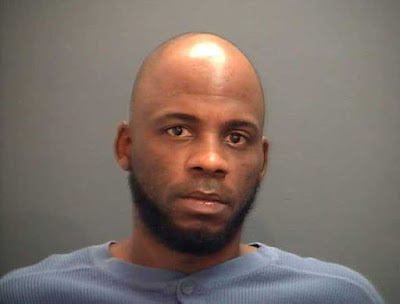 On Tuesday, a deputy with the City of Waynesboro Sheriff’s Office went to a residence to evict the renters when he found Aaron Hernando Holder, 37 years old, and 30 year old female trespassing inside the residence. The deputy ordered them out of the residence. Holder was clothed only in his undergarments. After further examination of the residence, the deputy located suspected drugs in the room where he found Holder and the female. Even though he was scantily clad, Holder fled on foot along with the female. A search of the area by other officers and deputies was unsuccessful. Members of the Skyline Drug Task Force responded to the residence and executed a search warrant. Drug charges are also pending on Holder and the female suspect. Holder should be considered dangerous. Anyone with information in this case is asked to call the Waynesboro Police Department.